The future for consumer data prices is not as bright for telcos, according to Telstra. In the next 5 to 10 years, the prices may touch the zero line and operators must prepare for this by diversifying to other services in addition to connectivity. Speaking at the GSMA Mobile World Congress in Shanghai, Andrew Penn, Telstra’s CEO emphasized on the need for diversity. The possibility of data prices to go to zero is real and operators must broaden their focus to remain relevant. Adding consumer-friendly services is an excellent way of ensuring the operators hang on and do not fall down the value chain. The trend today is characterised by operators spending so much of their time thinking about the array of cool technology being demonstrated in exhibitions and shows. According to the Telstra’s CEO, operators should go beyond and think on how these innovations can be packaged and delivered in a way that benefits the customer. Citing companies such as Netflix which are purely internet-based, the CEO advocated for new products to be intuitively designed and customer friendly. 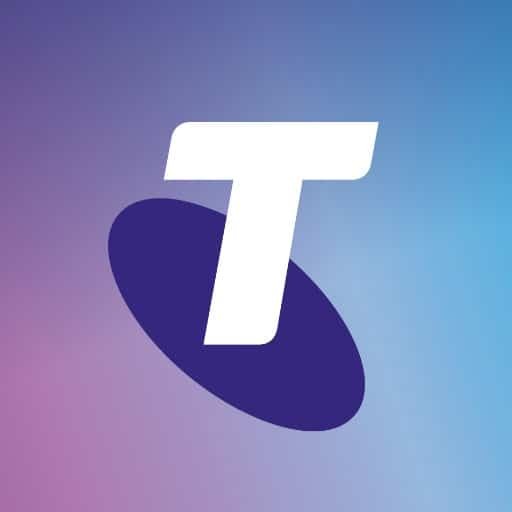 On its part, Telstra has embarked on a range of initiatives to enhance the user interface of their new products. This awakening came after the company conducted an eye-opening investigation on the queries raised in their customer service calls. The company acknowledged that 90% of the queries coming through its customer service desks could have been avoided if the technology and the accompanying customer care had been improved. On the part of pricing, he added that operators must embrace transparency in their billing structures to avoid bill shock. A survey report by Deloitte indicates that close to 50% of Australians blow their data limits and this costs them $313 million per year. The desire to be constantly connected and consuming has been singled out as the major contributing factor to data plan blow outs and hidden costs. This has resulted in subscribers switching operators in search of fairly-priced plans. The report also revealed that 88% of the population own a smartphone and the expectation they have is to be connected always. On average, Australians are glancing at their phones 560 million times daily. This equates to over 35 glances per day for the average Australian. Slightly over two thirds (70%) of the participants said that they use their phones even while eating. 35% of them jump on their phones 5 minutes after waking up. The increasing availability of free Wi-Fi hotspots and bigger data plans is pushing the population towards a more connected lifestyle. Since 2016, the number of Australians watching live TV and streaming content right from their phones has tripled. In terms of age brackets, 25% of the population aged between 18 and 34 years watch live TV on their phones weekly. The result of the continuous connectivity is blown out data limits. According to the survey, 43% of Australians regularly exceed their monthly data caps. The group of customers most affected is that subscribed to the 3 to 5GB plans. As a matter of fact, this group is twice as likely to go over data limits compared to those subscribed to 500MB or less. More people are subscribing to higher data limits to enable them to seamlessly connect. For instance, subscriptions to data limits over 10GB have doubled since 2016. Of the new plans purchased this year, 60% of them had a data cap exceeding 3GB. Most Australians (63%) prefer Wi-Fi connectivity. This is a big jump from 2016 when it was at 49%. Most respondents listed unlimited data plans as their most important feature when looking for an operator. More data and better-quality coverage supersede all other requirements and have been the leading cause for people to switch operators in the past couple of years. Australian has largely gone mobile, but a few (29%) are still using their landlines regularly. A recent study by finder.com.au revealed that 55% of Aussies are still subscribed to landline services and paying for them. Most of these are baby boomers. Compared to mobile, landlines are a bit expensive when making international calls and their utility is limited. Only 10% of generation Y use landlines as most of them are exploring plans, products, and offers from telcos. This is the market operators should target even as they diversify their products. While Australians are waiting for the age of free data, their current consumption is likely to go up. This means many of them will continue exceeding their data limits. Telcos should align themselves to the demands of their subscribers by giving them value for their money in terms of data quality, transparent pricing models, and network coverage.